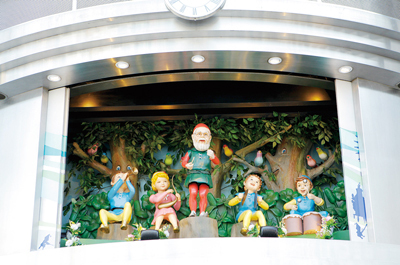 Conveniently located 40 minutes from Tokyo. 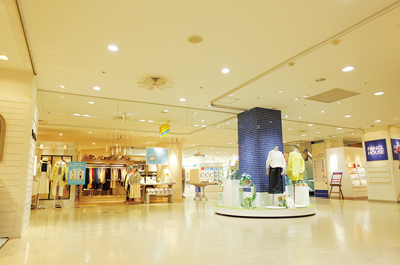 AZ Kumagaya has everything from the latest fashion in clothes to local Japanese specialties and gourmet food. The 6th floor of free Wi-Fi can be used. 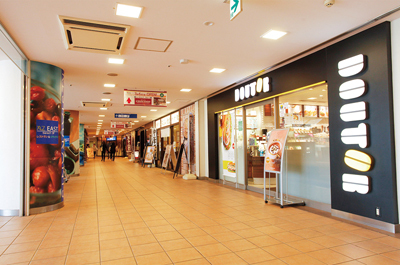 Here are just a few shops with tax-free options and unique goods perfect to remember your Japan experience by. 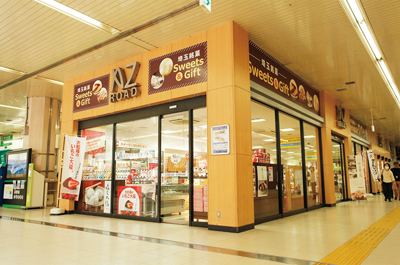 How about taking back some of Kumagaya's famous pastries as a gift? Try the simple, nostalgic flavors of Gokabo, the famous Kumagaya delicacy. Gokabo is made from a grain called okoshi in Japanese, which is hardened with candy and given a nostalgic aroma with roasted soybean flower. With its simple yet elegant flavor perfect for the mature palate, Gokabo are famous not only in Kumagaya, but throughout Japan. Delicious as-is, feel free to dig into one of these delicacies right out of the package. You might find yourself feeling a hint of nostalgia for old Japan. Joyo Manju is a Japanse confection consisting of a moist breaded outer layer and a filling of perfectly-cooked tsukune-imo (a type of sticky yam native to Japan) from the Tokachi District of Hokkaido. This confection boasts the slogan "umai, umasugiru!" which means "Delicious. TOO delicious!" Enjoy the beautiful packaging featuring a woodblock print by the famous artist Shiko Munakata as you bite into this delicacy that is truly too delicious! Daifuku are a traditional Japanese confection made from sweet bean paste wrapped in gelatenous pounded rice called mochi in Japanese. Now, cheese daifuku are just what the name implies: a new and sublime combination of the traditional daifuku and cheese! With strawberry cheese, blueberry cheese, and other flavors in addition to the standard cheese daifuku, you can enjoy a wonderful variety of flavors. With their light flavor, even people who don't like sweets can enjoy cheese daifuku. 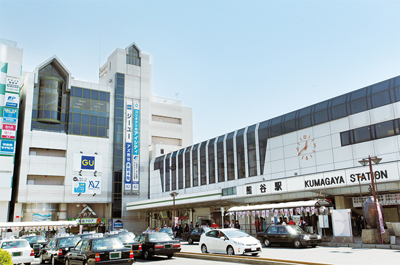 Here are some of the best sightseeing spots around Kumagaya Station. About 500 cherry trees are planted along a 2km bank of the Arakawa River which is only a 5 minute walk from Kumagaya Station. It is both enjoyable to view the cherry blossoms from the top of the bank and to pass through a cherry blossom “tunnel” below the crest of the bank. “Spring in Japan” is known for cherry blossoms, so we eagerly recommend you to see our cherry blossoms. 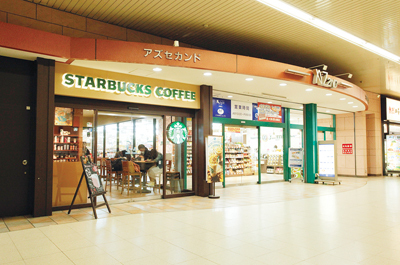 © Takasaki Terminal Building Co., Ltd. All Rights Reserved.